The Snows of Kilimanjaro was published in 1936, not yet in the public domain. We offer a summary of the story for your enjoyment. Hemingway loved skiing in Switzerland and Austria, which contributed to the inspiration for this story. We feature it in our collection of Winter Sports Stories. The main character in The Snows of Kilimanjaro is a man named Harry. He has gone to Africa on safari where he is punctured by a thorn and develops an infection. The infection progresses rapidly and he advances towards a slow death. This realization gives him time for introspection about his life, work, and the people closest to him (perhaps his sickness creates hallucinations as well). "He remembered the good times with them all, and the quarrels. They always picked the finest places to have the quarrels. And why had they always quarrelled when he was feeling best? He had never written any of that because, at first, he never wanted to hurt any one and then it seemed as though there was enough to write without it. But he had always thought that he would write it finally. There was so much to write. He had seen the world change; not just the events; although he had seen many of them and had watched the people, but he had seen the subtler change and he could remember how the people were at different times. He had been in it and he had watched it and it was his duty to write of it; but now he never would." "But if he lived he would never write about her, he knew that now. Nor about any of them. The rich were dull and they drank too much, or they played too much backgammon. They were dull and they were repetitious. He remembered poor Julian and his romantic awe of them and how he had started a story once that began, "The very rich are different from you and me." And how some one had said to Julian, Yes, they have more money. But that was not humorous to Julian. He thought they were a special glamourous race and when he found they weren't it wrecked him just as much as any other thing that wrecked him." 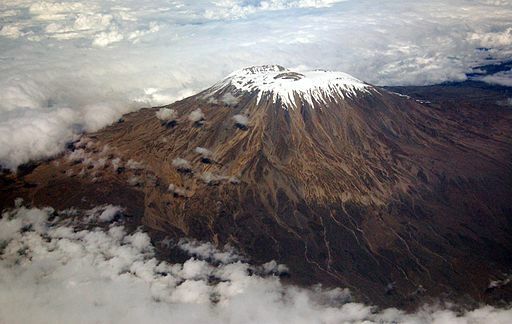 As he approaches death, Harry seems to lapse into a dream-state where he imagines that a rescue plane is coming to take him to the top of Kilimanjaro, the highest mountain in Africa. Harry engages the pilot, Compton, in some playful banter and boards the plane. As they head towards its western summit, called the "Masai "Ngaje Ngai" (the House of God), he sees a legendary leopard. Harry realizes that the plane taking him to the mountain means his death. "Just then the hyena stopped whimpering in the night and started to make a strange, human, almost crying sound." Helen awakens to find that Harry has died in his sleep. This story has very poignant, autobiographical overtones for Hemingway. The parallels to his life, particularly during 1936, are unmistakable. And they seem to persist into his future as well, revealing his realization of his own vulnerability and mortality. When awarded the Nobel Prize in Literature in 1954, he was injured and unable to attend the ceremony, so he sent a letter which was read aloud at the event. A quick examination of that speech reveals that some of the same thoughts and themes exposed in The Snows of Kilimanjaro still haunted him in 1954, revealed in his Nobel Prize acceptance Banquet Speech, in which he reflects on the introspective loneliness of a writer's life. 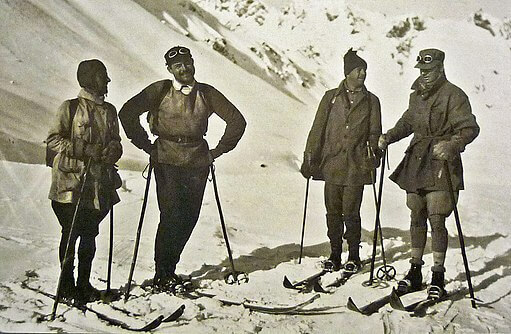 You may also enjoy reading about another author-ski-adventurer, Sir Arthur Conan Doyle's essay, An Alpine Pass on Ski. Add The Snows of Kilimanjaro to your own personal library.